The first day of fall is just over a week away, and The Weather Network has released its outlook for Canada’s upcoming season. While warm weather continues in Eastern Canada, fall officially arrives on September 22, bringing with it its changing leaves, milder temperatures, and pumpkin spice everything. 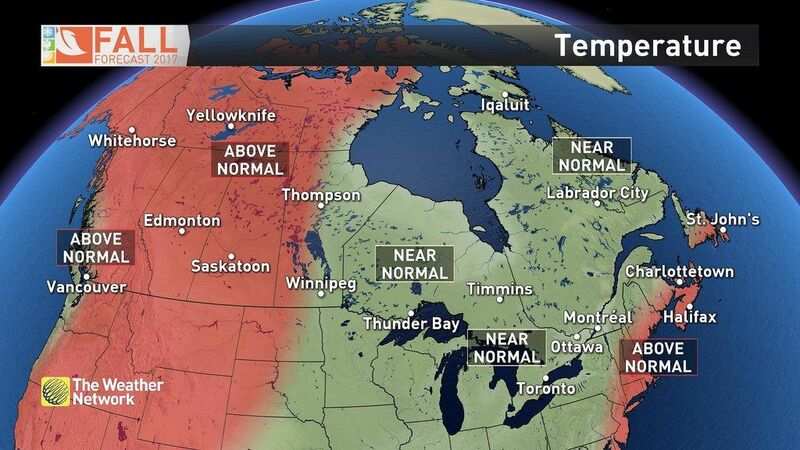 According to The Weather Network, fall’s forecast will feature near normal or above normal temperatures across the country. But fall is generally known for its “temperature rollercoasters,” so it’s likely that regions won’t lock into specific patterns throughout the season. Eastern Canada, from the Great Lakes to the Maritimes, has already seen autumnal weather in August and early September, “which has brought a premature end to the growing season in many places,” said the Weather Network. But the good news for some is, the warm temperatures are not gone for good yet. 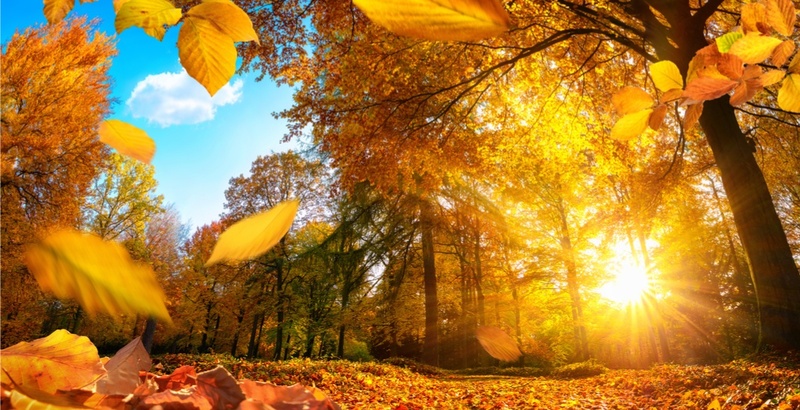 The Weather Network is predicting “fantastic fall weather” to continue throughout September and October in Eastern Canada, with more warm sunny days than usual in the region. It will begin to cool down heading into November, when meteorologists expect the return of a “typical late fall pattern” that will include fall storms as we head into winter. Meanwhile in Western Canada, temperatures are expected to be above normal for most of BC, as well as across most of the Prairies and much of northern Canada. When it comes to precipitation and fall storms, the forecast is predicted to be less active during the first half of the season across the country. The West Coast, including Victoria and Vancouver, will be seeing enough rain that will keep its totals near normal, and bring relief to the region following the dry summer. The Weather Network’s winter forecast prediction will be released at the end of November. Until then, bring out those scarves, stylish tuques, and get ready for pumpkin spice everything, because fall is just around the corner.